With the 2018 - 2019 high school season at the half way mark and postseason district action just a little over 30 days away during the first week of February. MemphsiHoopers.com Top Ten has made adjustments and definitely additions that local papers, media outlets and so on have gravely overlooked. Remember Hoopers staff goes to a game every night in the Memphis tri-state area and definitely knows Memphis Basketball Mechanics Ten Fold! As mentioned in earlier preseason media stories, Division AAA was going to be a heavyweight battle between and Memphis East and Bartlett High Schools respectively to the wire unless an Germantown type scenario from three years ago. 2018 summer circuit basketball season is in the books with the TSSAA Division AAA Champions coming out of Memphis 13 out of the last 14 years, it is easily said, "Memphis runs Basketball in the state of Tennessee," Respectively and Hands Down Ten Fold! Division AA in Memphis is definitely on the rise. MemphisHoopers.com 2018 - 2019 Preseason Top Ten rankings always keeps you on your P's and Q's with "Memphis Basketball", the heart of Memphis Sports. In the state of Tennessee, Memphis runs high school basketball and football is still mid to east side of the state action but the grip is loosening. 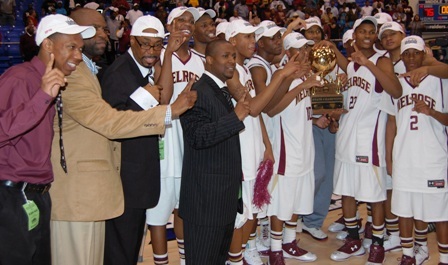 Memphis city iconic high schools Memphis East and Hamilton won the larger of the classifications in Division AA n AAA last year bringing home gold balls to their respected schools. AA Division has definitely taken over as the better overall division with Division AA in a 5 horse race with Mitchell, Wooddale, Raleigh Egypt, Melrose, and Trezevant at the top of their respected divisions as the rest of the teams under them fighting for bragging rights. Four of your top five entries in this years preseason poll are big division schools with two schools coming from our neighbor Desoto County, Mississippi respectively. Memphis East with a MemphisHoopers.com Preseason Top Ten record, 'fourth year in a row' as the preseason overall No. 1, start the season to go along with the No. 1 players in the country in ESPN James Wiseman. Bartlett comes in at No. 2 and fields a strong senior oriented team at a near record setting 12 seniors as these two top AAA teams are definitely expected to be TSSAA state contenders in March. Tennessee Prep Academy transfer and Ole Miss commit Antavion Collum will definitely meet in postseason action with a bittersweet gathering for Collum with a wasted year at Memphis East. Mississippi entry Olive Branch Conquistadors and a regular the last couple of years come in at the No. 3 position and the defending Mississippi state champions. They have broken the south part of Mississippi postseason voodoo handily and are favorites again this year with Memphis commit D.J. Jeffries leading the charge. Lausanne High School claims the No. 6 position with seniors Skylar Forest and Cam Sims leading the way with a very solid underclassmen group and probably the best in the city. Landing at the No. 7 spot we have Mitchell High School a regular in the poll and will be led by twin seniors Mike Rice Jr. and Mikell Rice respectively. Douglass High School holds the No.8 spot after coming off a TSSAA state appearance in Division A and a 30 plus win season. At the No.9 spot we have Center Hill High School with a high enrollment and one of the top guards in the region in Calvin Temple. Raleigh Egypt finishes out the top ten in the No.10 position in this years preseason poll. The Pharaohs will be lead by senior Devontae Williams and junior Quintarius Bailey plus a very deep bench probably the deepest in the city. The 2015 summer circuit basketball season is over with the volatile month of July just ending as hectic as ever. Memphis teams did not fare well on a national level accordingly to Memphis standards and past seasons Bottomline!!! Looking at MemphisHoopers.com Summer Circuit Poll the usual entries from the region fared below expectations and standards. Everyone asked why is MemphisHoopers.com at the No. 1 spot in Final Poll. Isn't that bias well the facts are stated below and everyone else will have their own opinion comapdres. 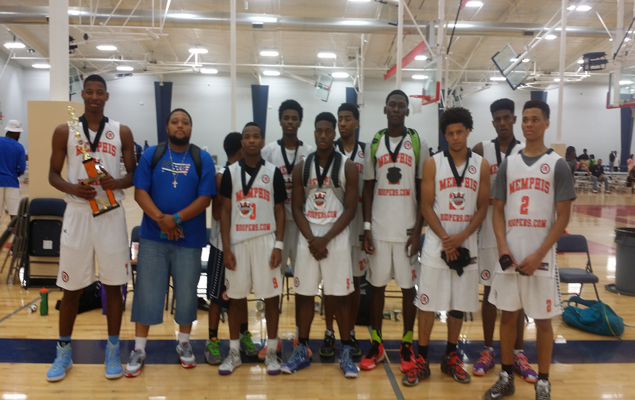 MemphisHoopers.com claimed 2 championships nationally at Midwest Shootout n St. Louis April 19, 2015 & Big Foot Hoops n Houston April 26, 2015 Kingwood Classic Platinum bracket in championship game win over T.J. Ford Elite. The other local teams neither garnered a championship of any sort all season long other than Team Thad in Knoxville Vegas Event April 3, 2015. 1 championship locally with a win over the powerful Team Thad 16's in that championship game @ Lemoyne Owen College April 1, 2015 at the start of the summer circuit basketball season. Championship game loss in www.ontheradarhoops.com Session 1 in Atlanta, GA. April 10, 2015. Final Four appearance in Adidas Memorial Day Classic in New Orleans, LA. losing to Texas D1 Ambassadors 99-98, hell of a game compadres!!!! Your regular shoe company sponsored teams; Team Thad (Under Armour), Team Penny (Nike), & Memphis Magic (Adidas) all had different routes in front of them per say. M33M Let it Fly is associated with Reebok but Reebok is just there these days. Other teams of significance are MemphisHoopers.com that mostly deals with unsigned seniors, Memphis Bulls who have made a name for themselves the last couple of seasons. Iconic Team Thad n Team Penny had rough seasons this year. With both ball clubs needing help from players that were not going to be there all season from jump to just help them make it to their respected shoe company end of the year events the championships and finals of each accordingly. Memphis Magic didn't qualify for the Finals in Atlanta but got one of the 8 at large bids to participate. 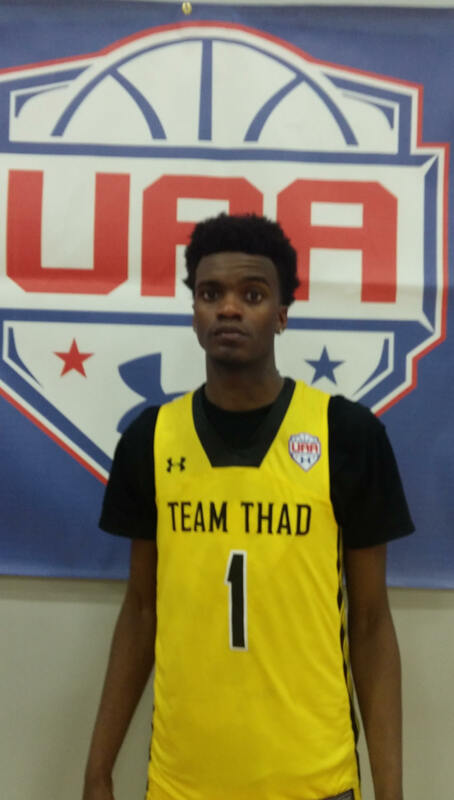 Team Thad made the biggest impact with LaGerald Vick coming from nowhere and almost signing with UT Martin and Western Kentucky to wining a gold medal with Kansas in Seoul, Korea. Nick Marshall at Memphis with plenty of playing time on the horizon due to transfer in mid stream. M33M Let it Fly plays a very soft schedule early in the season with no hype at all but will criss cross the country in July. A solid showing in the last week of July @ Big Foot Hoops before falling in Sweet 16 action in Platinum Elite Bracket losing to Norcal Black. Memphis Bulls had good performances all season long in great events and made a good run at AAU Nationals in Orlando amking it to the final four. 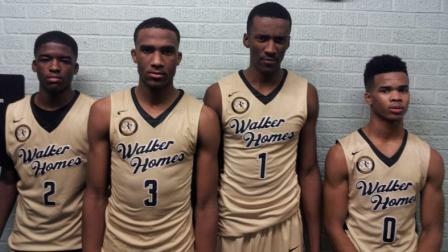 With the final MemphisHoopers.com Summer Circuit Poll done another season in the Books!!! 2015 Jack Peters MUS Summer Classic was another success with some of the best teams in the city and surrounding areas. Since it's inception since 2000 it has made national acclaim as one of the best high school summer events respectively with good team basketball all weekend long. Click here for stats. East (Number 1 Preseason Poll) came away with a 3-1 mark and it's only loss came to private school powerhouse Brentwood Academy in a close affair. A very young Mustangs team led by sophomores T.J. Moss & Alex Lomax will make noise all year long plus freshman sensation 6'8 Chandler Lawson. Brentwood Academy went 4-1 with impressive performances and double digit wins over top teams. Coach Hubie Smith has done a great job this summer after coming off an state championship and favorites to repeat accordingly. Players that stood out to the Hoopers staff over the 3 day event and the top player at the event was T.J. Moss, who has elevated his game to another level. His jump shot from all over the court is solid, basketball moves are full of basketball IQ and very fluid. Junior Jeremiah Oatsvall is a very solid overall hard nosed point guard, Bottomline! Oatsvall does it all in strong fashion from shooting the ball from any part of the court, drives are solid, and defense a plus from this young man. CBHS junior William Douglass also was very impressive with his overall play and this young man is going to be special compadres n will contend for one of the top players in the Memphis area. One of my favorite high school coaches of all time Bubba Luckett CBHS will make another run at the state after going 29-1 last year losing their only game in the championship game, Tough One! Southwind (MemphisHoopers.com Top Ten) with an enrollment of over 2,000 students will always field good teams and head coach Paul Edwards does a great job year in and year out acco rdingly. The jaguars have a young team led by 6'5 junior Carlos Marshall and 6'6 freshman Antavion Collum with a great body frame to go along with his dribbling and dynamic moves anywhere on the court. Fayette Ware and Ripley both went 5-1 with Ripley coming off a TSSAA state appearance and advancing to the semifinals for the first time in over 30 years. Both ball clubs should make MemphisHoopers.com Preseason Top Ten for the first time in MemphisHoopers.com history since 1999. 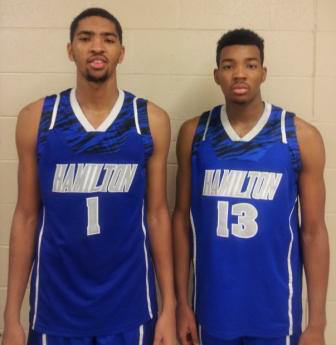 Germantown (No.5 MemphisHoopers.com Top Ten) has played good basketball all June long and will make noise all season long and should advance in postseason action with a senior laden team. Senior Darrell Brown will definitely need help from Rodney Williams and Jonathan Bins and the red devils when playing aggressive teams seem to have problems responding and needs addressing. Center Hill (MemphisHoopers.com Top Ten) senior point guard Job Vernor after viewing at MUS for the first time caught the Hoopers staff eyes off the wham and is rock rock solid compadres. Like some folks it can be junior, junior junior like in Friday's movie! Some schools that will garner attention depending on play during regular season because they will have short leashes - BTW, Center Hill, Hamilton, Mitchell, & MUS. Remember compadres and let's not get ahead of ourselves where MUS Summer Classic is sometimes for showcase where kids have no intention on going to that school but fiddle faddle. Let's see who enrolls where when school starts August 4, 2014, it's always a story somewhere on who is where and not. Division A: Mitchell goes into postseason action looking for a repeat of the gold ball respectively. 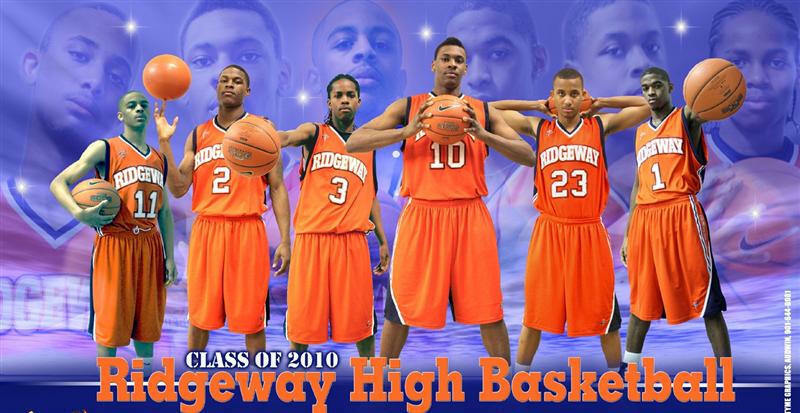 A senior laden basketball team that has played together for all four of their high school seasons and are a very poised group of young men accordingly. Led by Jeremiah Martin (Louisiana Tech), & Kylan Phillips (MVSU) the Tigers defeated Columbia Academy 69-40 in quarterfinal action to face Knoxville Grace Friday in semifinal action at TSSAA BlueCross Championship. Division AA Haywood County (32-2) boasts one of the most talented teams in the tournament and also a senior laden ball club led by Jordon Varnado who won MVP honors in regional action. Also their is another Delk from that fine family of basketball players in senior Alandis Delk. Ripley probably possesses the most dynamic and explosive guard in the state in Chad Culbreath who can do it all in strong fashion at the 1 & 2 spots. Senior Shaq Halloway can also light it up from all over the court and scores points in bunches. 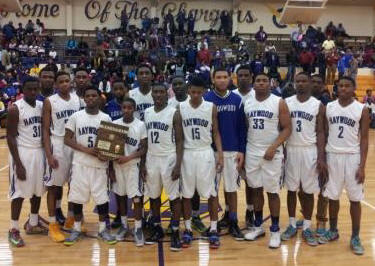 Division AAA: MemphisHoopers.com will say it again, the 800 lb. gorilla Hamilton Wildcats should roll thru early state action and did with a quarterfinal game thumping Hillsboro 55-34 and a Friday meeting with Blackman. A rematch against district rival Memphis East seems very realistic with The Mustangs beating Oak Ridge 68-57 and facing Brentwood Friday in semifinal action. 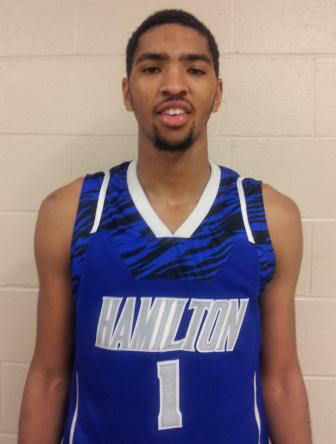 You have a former McDonald's All American in Head Coach Todd Day coaching the only other Hamilton player to ever be named McDonald's All American in Dedric Lawson. This only happens in cycles that come far and few apart with 10-15 year interval at the least.